On Friday, the Columbus Blue Jackets will participate in the franchise’s 11thNHL Entry Draft. Of those 11 first round picks, 10 have been in the top eight selections, with 2009 first rounder John Moore (21st overall) being the exception. Yet, for the most part the Blue Jackets have received a relatively disappointing return on a plethora of “blue chip” prospects. The CBJ’s first round futility has been well documented. This year, the Blue Jackets are sitting relatively comfortablly at no. 4 overall. I say “relatively” because although they will have their pick of three to four second tier prospects behind the perceived top two, Taylor Hall and Tyler Seguin, the pressure is building on general manager Scott Howson. Over the past week, Howson saw two of his club’s Central Division rivals, St. Louis and Nashville, make moves that have radically reshaped their rosters. St. Louis traded a pair prospects, Lars Eller and Ian Schultz, to acquire the rights to Montreal’s playoff savant, Jaroslav Halak, and sure up their goaltending situation. Nashville on the other hand, cleared house sending the rights of pending UFA Dan Hamhius to Philadelphia to reacquire young defender Ryan Parent. Just a few hours later, the Preds reunited their captain, Jason Arnott, with his old club, when they shipped him to New Jersey for right wing prospect Matt Halischuck and a second round pick. While St. Louis’ move automatically makes them tougher competition in the Central Division – many, including myself, picked them to make the playoffs last season – it would be unwise to assume Nashville is waving the white flag on the 2010-2011 season. Nashville GM David Poile rarely makes poor personnel decisions and head coach Barry Trotz gets more out of his players than anyone in the league. I wouldn’t be surprised to if Nashville makes a couple of moves, if not draft day than July 1. That’s all fine and dandy, but what does that have to do with the Blue Jackets? Well, the consensus seems to be that the Blue Jackets, for better or for worse, have adopted a win-now mentality. With a win-now mentality and a division that boasts the last three Western Conference representatives in the Stanley Cup Finals – two of the last three winners at that – along with an improved St. Louis team, a GM might get a bit flustered. Maybe he starts to feel the pressure to make a reactionary move? A little bit of an itchy trigger-finger? Fortunately for Columbus, Howson’s veins check in at around absolute zero. The only reactionary moves he will be making are in reactions to two of the franchise’s perennial needs: a no. 1 center and defenseman. That no. 1 center is not likely to come through the draft. Seguin is sure to go in the top two and the drop off at the pivot is substantial enough that the CBJ would be unlikely to use the fourth overall selection on one, unless it’s part of a deal to acquire a proven one. But a no. 1 defenseman you say? Well there are three potential blue line cornerstones available in this year’s draft, and at fourth overall, the Blue Jackets will have a choice of at least two of them. Those defenseman are Cam Fowler, Erik Gudbranson and Brandon Gormley. 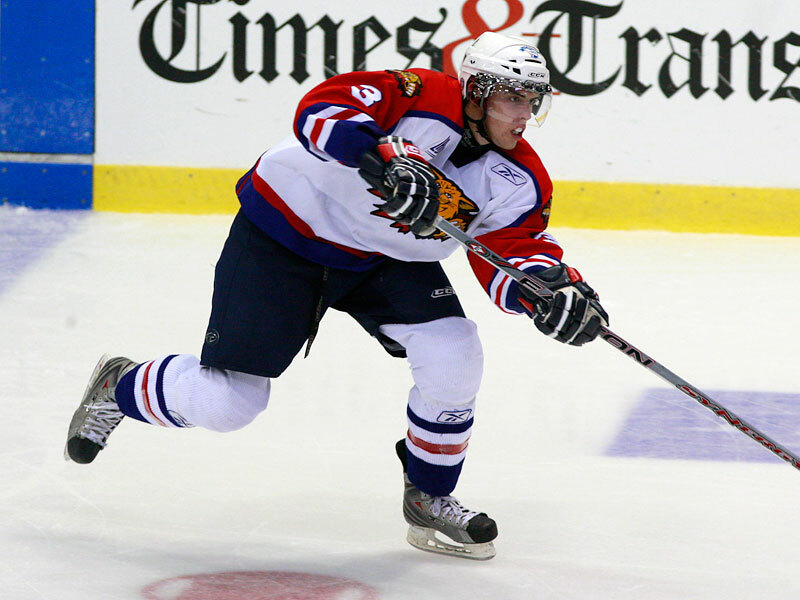 Fowler spent the past season playing for the Windsor Spitfires of the Ontario Hockey League. The Farmington Hills, MI native put up some incredible offensive numbers to the tune of 8-47-55 over 55 games. He played a pivotal role on both the USA team that won the 2010 World Junior Championship, and the Spitfires, who took home their second consecutive Memorial Cup this past season. 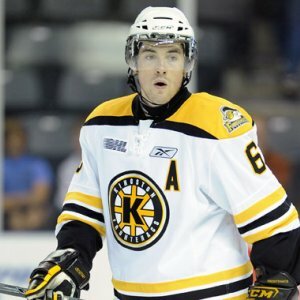 Director of NHL Central Scouting E.J McGuire described Fowler as the “prototypical offensive defenseman,” drawing comparisons to the likes of Brian Leech, Phil Housley and Tomas Kaberle. While Fowler has plenty of offensive upside, the knock on him is that he needs to bulk up to handle NHL forwards. No surprises there, as the 6-2 190 pound blue liner plays with little physical edge. And while I don’t want to take anything away from Fowler’s accomplishments, he certainly benefited from playing with veritable OHL All-Star team. Along with Hall, Fowler also benefited from playing with likes of Ryan Ellis, Zack Kassian and Greg Nemisz. And those are just the ones who were already selected in the first round over the past two seasons. It was Windsor’s Cup to lose, with or without Fowler. If Fowler brings the flash, than Gubranson certainly brings the thunder. No player in this draft has seen his stock rise as much in the past few months as the hulking 6-4 195 pound defender from the Kingston Frontenacs. Gudbranson admittedly loves “playing with an edge” and “throwing big hits.” Despite playing an abbreviated season thanks to a knee injury and a bout with mono, Gudbranson managed 2-21-23 in 41 games. He’s surprisingly mobile for a defenseman, especially one of his stature. He also owns a right-handed cannon from the blue line that the CBJ would covet. Gudbranson’s most underrated quality, and one that also draws Pronger comparisons, is his leadership. The native of Orleans, ON was an alternate captain on Kingston last season and spent time with the “C” as a 16-year-old OHL rookie. In addition he captained the Canadian U-17 and U-18 teams. Gubranson may have the highest ceiling of a defenseman in this year’s draft, but he’s likely the least NHL-ready of the big three, He would benefit from another year in juniors as well as time in AHL. 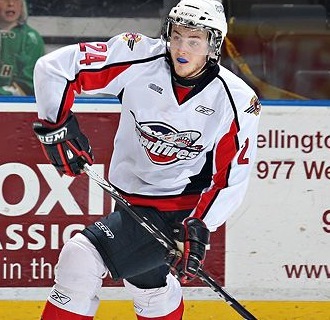 Gormley may be the most intriguing defensive prospect for the Blue Jackets. He doesn’t fill up the stat sheet with points galore. He doesn’t knock opposing players through the glass. What the 6-2 190 Moncton Wildcats defensman does is play the game with the poise of a 10-year NHL veteran. Gormley does not make bad decisions, with or without the puck. He can play the point on the power play – he teamed up with Columbus prospect David Savard on the Moncton PP blue line – and he can kill penalties. He makes crisp breakout passes and herds the puck while it’s on opponents’ sticks. His positioning is top-notch. Gormley’s game has been compared to the likes of Nicklas Lidstrom, Duncan Keith and Shea Weber. “Gormley might be the best puck-controlling defenseman in the entire draft this year,” McGuire said. NHL Central Scouting’s Chris Bordeleau echoes McGuire. Gormley helped lead Wildcats to the Memorial Cup round robin, despite the fact that the team was missing one of its top scorers Kirill Kabanov – this draft’s enigmatic Russian winger. He took home the Mike Bossy award as the QJMHL’s top professional prospect. The Murray River, PEI native has a very impressive pedigree. Prior to becoming the first overall pick in the “Q” entry draft, Gormley played at Notre Dame College in Saskatchewan, a program that has churned out it’s fair share of NHL stars. Gormley looks to be next in line. Frankly, the Blue Jackets cannot go wrong with any of the three. The consensus among the league seems to be that Florida will select Gudbranson with the third overall pick. While most see the Blue Jackets selecting Fowler in that case, I would argue for Gormley. While Fowler’s game is certainly conducive to the “new” NHL, it’s also similar to Moore’s, although there’s no denying Fowler is the better prospect. Gormley may not have the flash or the thunder, but he may be the best fit for a Blue Jackets team that desperately lacks stability on the back end.